THIS, is the face of one excited little girl! She is hosting her very own #KingJulien New Year's Eve Party. Tomorrow at 5pm, three of her friends are coming over to party down, and ring in 2015. ...you see, mommy won't make it to ACTUAL midnight, but with this video...we can celebrate...SUGGESTED midnight. 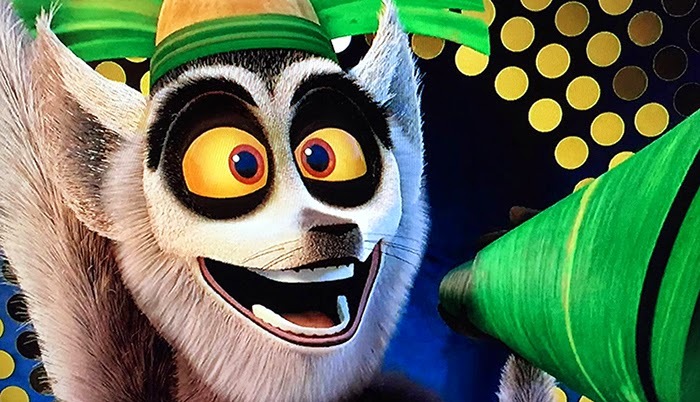 If your kids haven't found King Julien yet, I highly recommend you check him out. What are your kiddos watching on Netflix over the break? We have a 20 month old daughter. 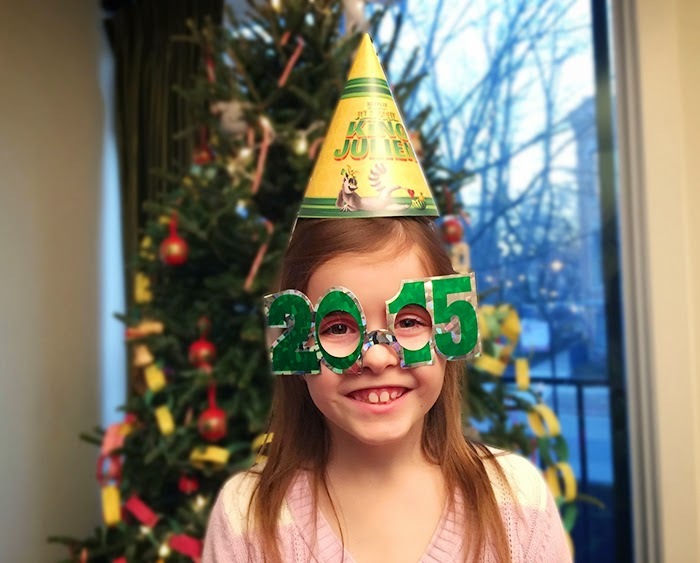 She was able to celebrate ringing in 2015 without ruining the first day of it. We have a great video of her twirling her noise maker. It's a really great idea.